Upgrade is a personal loan company that offers higher borrowing limits than many other non-traditional lenders. They offer competitive rates and fees, and as a result, we consider Upgrade to be one of the best personal loan lenders overall. You can find the full list of Best Personal Loans here. Is Upgrade right for you? 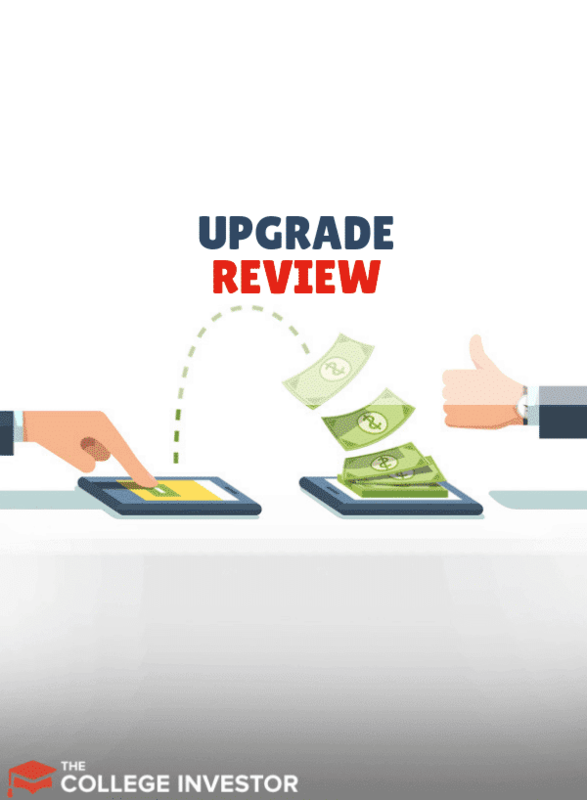 Check out our review below and see if it makes sense to get a personal loan with Upgrade. Whom Does Upgrade Lend To? What Types of Loans Are Offered? What Else Does Upgrade Offer? The team that created Upgrade also created LendingClub. Their goal was to create a lending product that would reduce the cost of credit while providing a great, educational experience about finance. The company was founded in 2016 and its headquarters is located in San Francisco. Upgrade doesn’t seem to have any restrictions on whom it allows through its application process. Its minimum loan requirements are standard (borrowers must be U.S. citizens, at least 18 years old, and have a bank account). They do ask about your gross income on the loan application but the application questions appear to be fairly standard as well. There are some variations in loan amount and availability between states. Minimum loan amounts are $3,005 in GA and $6,005 in MA. Upgrade is not available in CT, CO, IA, MD, VT, and WV. You can choose between a personal loan or personal line of credit. Both are fixed-rate loan products. Upgrade loans are unsecured. This means collateral is not required for Upgrade loans or lines of credit. Loan amounts range from $1,000 to $50,000 with APRs from 6.99% to 35.97%. Remember, rates and fees are subject to change and based on credit qualification. These rates are accurate as of November 23, 2018. Please see their website for the latest rates and terms. 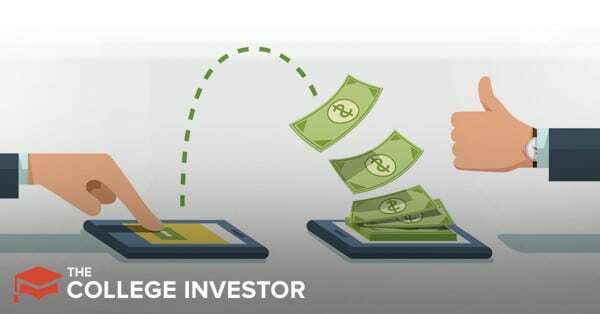 Upgrade is one of the only online lenders that offer a personal line of credit, which is currently in beta. Lines of credit can go up to $50,000. There aren’t any origination fees on a line of credit and the interest rate is fixed. The way an Upgrade line of credit works is that you choose the amount to draw on the line. If the line is $10,000 and you draw $1,000, $9,000 remains available on the line of credit. For the $1,000 draw, you choose the terms to pay back the draw and the interest rate. Funds are moved from the line of credit directly into your checking account. One of the main benefits of using a line of credit is that you don’t have to apply for a loan every time you take a draw. It also means no hits to your credit report for each draw. You can apply online at Upgrade.com. Once you fill out an application, you’ll be able to choose an offer. This part of the application process does a soft pull on your credit report. A soft pull does not affect your credit score. Once you accept an offer, a hard pull is done on your credit report. This can affect your credit score. If approved, funds are deposited into your bank account within four days. If you are not immediately approved, additional documentation about your identity and income may be required. All personal loans have origination fees of 1% to 6%. The origination fee is taken out of the disbursed loan amount. Any failed check (or e-check) will be charged a $10 fee. A $10 late fee is applied if payment isn’t received within 15 calendar days of your payment due date. There are also many articles available on Credit Health. It’s a great, free resource for anyone who wants to learn how to improve their credit. If you need a personal loan or want to open up a personal line of credit, Upgrade offers compelling loan products. Their rates are competitive with other online lenders and terms are similar. Unlike other online lenders, Upgrade’s personal line of credit is unique. With a line of credit, you don’t incur origination fees or have to go through a loan application every time you want to use the line of the credit. Upgrade wants to provide people with insight into their financial lives, especially their creditworthiness. It’s worth working on your credit before applying for an Upgrade loan. The better your credit score, the better your interest rate will be. A credit score isn’t the only factor when considering your rate. You’ll also want to have a good job — preferably one you’ve been at for a little while. All of these factors paint a picture of your creditworthiness and determine if you’re approved or not for an Upgrade loan. If you believe your finances are in order and you have a good credit score, Upgrade is certainly worth applying to.